You may know your bra size but, did you know it had a sister? See the above chart as a way to help make shopping for bikini tops easier for you. There are many swimwear brands with tops that are fitted to your bra size. You can fit correctly into more than just one size. The actual cup size usually gets bigger with the band size. 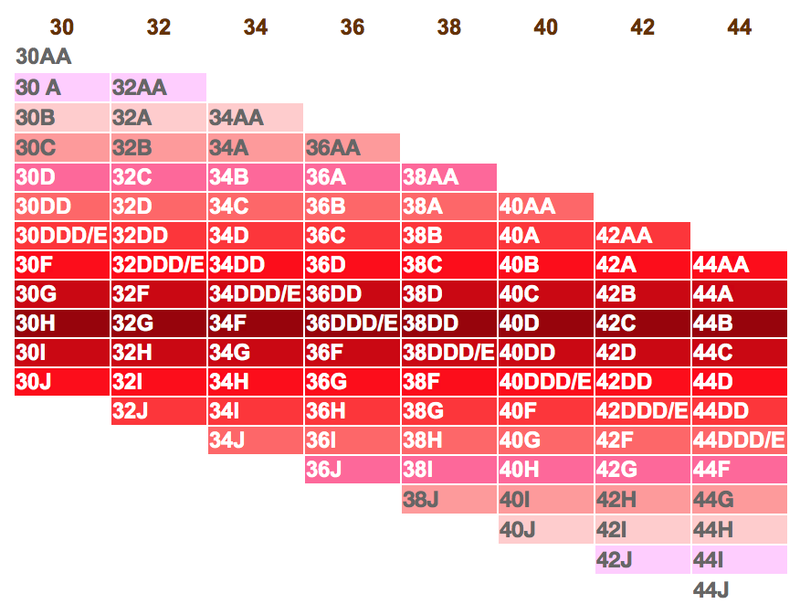 For example, if you wear a 36D, you could also wear a 34DD or if you wear a 38DD, you could also wear a 40D. Even if they don't have your "exact" size, knowing the corresponding fit for you will help you when shopping. Even then, I recommend trying on. With an open and knowledgeable mind, a different size may be the winner. The teacher in me wants you to memorize the part of this chart that relates to you. Do your homework and it could save you frustration in the future.